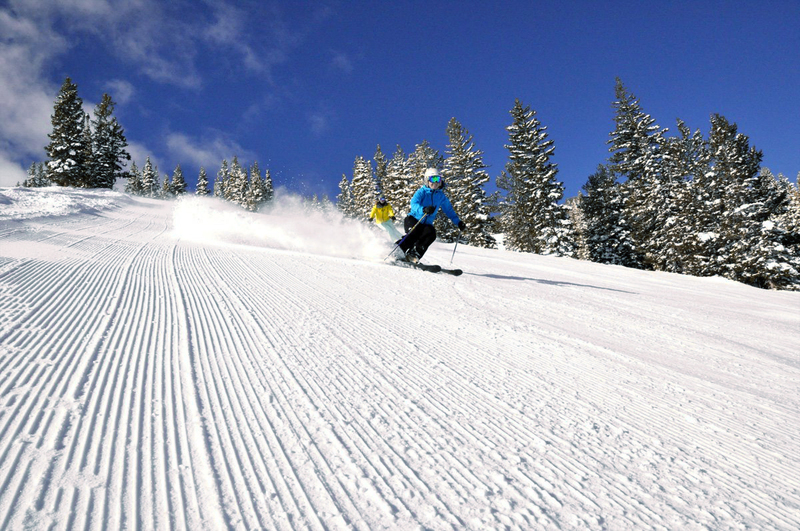 #Breckenridge #Ski Season -13 Days to Go…. Let it #Snow !! Snow is in the forecast for next Weds. and Thurs. for Breckenridge, according to the fine folks at the Weather Channel. Snow has been falling, snow guns have been, well, you know, gunning, and in the meantime, it’s a beautiful, sunny day in Breckenridge today! Skiers around the globe keep checking the weather cams and snow forecasts… while they make their reservations, buy their lift tickets, check their gear, and strategize the best ways to spend the most time on the slopes this season, including PEAK 6!! This is going to be a truly historic ski season and I, for one, can already hear the snow crunching under my skis on the first run of the day and imagine the floating sensation of gliding through some of the best powder on the planet. Skiers and boarders, NOW is the time to get your plans locked up. Make Breckenridge your home away from home, there is no more magical place to be during ski season. You really should consider luxury fractional real estate as an opportunity to have a second home at a fraction of the cost of owning a luxury condo in Breckenridge. This strategy provides you with all of the comforts of home, plus world class amenities, and luxury hotel level services. Grand Lodge on Peak 7 offers studio to 4 bedroom condos with ski in, ski out access. With the opening of Peak 6, this is really the place to be this season, right at the base of Peak 7 to easily access the entire mountain. Click HERE to view some of the fabulous featured properties available right now! This entry was posted on October 26, 2013 by elevatemarketingaz. It was filed under Breckenridge Colorado Luxury Condo Sales, Breckenridge Luxury Condo Sales, Breckenridge Real Estate, Breckenridge, CO Real Estate, Breckenridge, Colorado Real Estate, Fractional Ownership Real Estate, Fractional Ownership Real Estate Breckenridge CO, Fractional Real Estate Breckenridge, Fractional Real Estate Breckenridge Colorado, Grand Lodge on Peak 7 Breckenridge, Colorado, Luxury Fractional Real Estate, Luxury Fractional Real Estate Breckenridge CO, Luxury Fractional Real Estate Breckenridge Colorado, Luxury Fractional Real Estate Summit County, Co, Luxury Fractional Real Estate Summit County, Colorado, Real Estate Breckenridge, Real Estate Breckenridge Colorado, Ski In, Ski Out Luxury Condo Breckenridge Co, Ski In, Ski Out Luxury Condo Breckenridge Colorado and was tagged with Breckenridge, Breckenridge Colorado, Breckenridge Colorado condos, Breckenridge Colorado skiing, Breckenridge luxury condo sales, Grand Lodge on Peak 7, luxurious condos, ski out real estate breckenridge colorado, ski_in_ski_out Breckenridge condo.